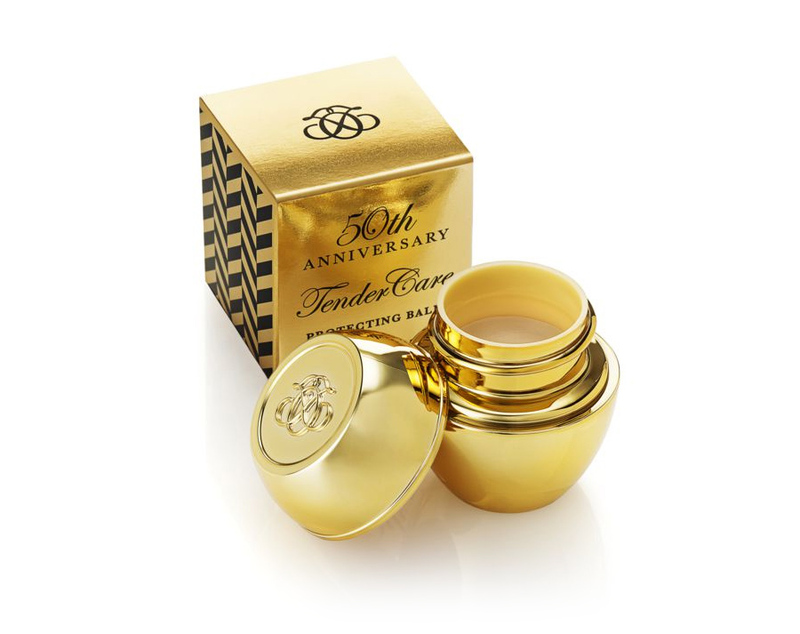 Celebrate the 50th anniversary of Oriflame with the iconic Tender care . A must-have product every day, now in its original formula, but in the most stylish packaging ever! The 50th anniversary of Oriflame deserves to be celebrated in large and therefore Oriflame has created a limited edition of Tender care with golden packaging, as unique as it is irresistible. A true collector’s piece for lovers of this product, released in 1979. Soothing Balm has protected and moisturized lips and dry skin for 35 years – having sold over 13 million units by 2016! In other words, it was sold one every two seconds. This is what we call popular! Hydrate, soothe and protect dry and rough skin with this limited edition, luxurious 50th Anniversary Gold Contains delicately scented Bee Wax and Vitamin E. A formula that has become famous since 1979. 15 ml.